Initially though, I had thought about doing a pun that involved a large untrainable animal, helium, clowns and Donald Trump. Unfortunately (or fortunately?) 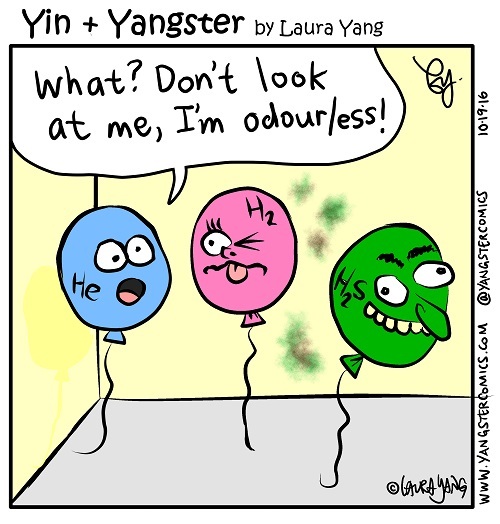 the simpler cartoon won out though it did require me having to do a bit of research on the properties of helium, hydrogen gas and hydrogen sulfide.